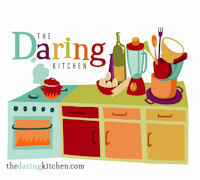 The Daring Bakers are making some noise with this month's challenge. Keeping the holiday season in mind, the founders of the Daring Bakers, Ivonne and Lisa, chose a holiday inspired recipe. The yule log (which is also known as Bûche de Noël) is a genoise filled with buttercream and rolled up to form a log shaped cake. Then it's frosted and decorated to look like a log. It's a strange concept to have food that mimics a fallen tree trunk and mushrooms, but I guess it's no stranger than making houses out of gingerbread cookies. I didn’t think I would have the time to do this month's challenge and I was totally saddened by the thought of missing a challenge for the first time since I joined back in February (when we were just 10 bakers!). But even though I've had a super busy month, I luckily found the time to make the yule log. I felt totally comfortable making the genoise so I had no problems with the cake part of the recipe. After letting the baked genoise cool, I trimmed the edges and then rolled it unfilled on a sheet of parchment that was dusted with powdered sugar. This sort of "pre-rolling" makes rolling the filled sponge a bit easier. I was a bit nervous about making the buttercream since the chatter among the Daring Bakers was that this buttercream had a tendency to curdle if not handled properly. There are different types of buttercream. The basic American-style buttercream is just softened butter beaten with powdered (icing) sugar. Italian buttercream is made by pouring hot sugar syrup into whipped egg whites. Then softened butter is added slowly and whipped until it's light and fluffy. Swiss buttercream is made by warming the egg whites and sugar over a water bath (bain marie) and then whipped until it's cool. Then softened butter is added slowly and whipped until it's light and fluffy. This buttercream was Swiss. My buttercream started out silky and gorgeous albeit a bit runny so I was hopeful that I had made it correctly. All hope was dashed as soon as I added the espresso mixture to the cream. The buttercream broke and never quite returned to its silky state. I know that my meringue was cool enough before adding the butter but I think my butter may have been too soft. I didn’t want to waste all that butter and start over again so I threw in some powdered sugar to help bind the broken buttercream. That seemed to work but the extra sugar made the buttercream a bit too sweet. In hindsight, I should've added some cream cheese instead of the powdered sugar to salvage my buttercream. To decorate our yule logs, Lisa and Ivonne gave us the option of making mushrooms out of meringue or marzipan. I chose meringue. I was doubtful that my meringue would even resemble real mushrooms but I was pleasantly surprised at how realistic they turned out. 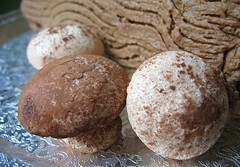 And the meringue mushrooms were so easy to make too. I ended up with a lot of extra mushrooms but they stayed nice and crisp for a few days so I had some sweet nibbles whenever the mood struck. My overall experience with this recipe was mixed, but I probably won't make it again. It's not the recipe, it's me. 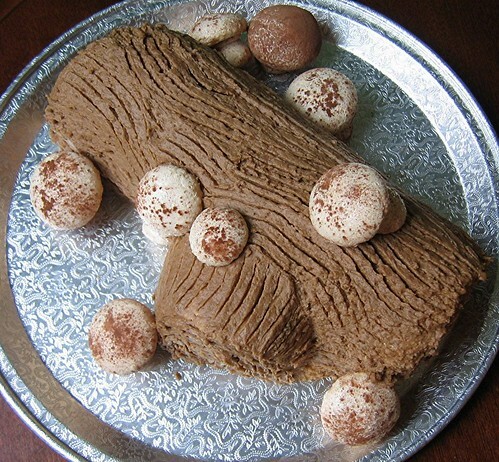 Even though my yule log wasn't very pretty, I think my yule log was more about the way it looked than the way it tasted. Many of my tasters agreed with that sentiment. I'm sure the other 400 or so Daring Bakers might disagree with me, so go read what they have to say about their yule logs. Best wishes for a very happy holiday season and I'll see you in 2008! 1.Set a rack in the middle of the oven and preheat to 400 degrees F.
2.Half-fill a medium saucepan with water and bring it to a boil over high heat. Lower the heat so the water is simmering. 3.Whisk the eggs, egg yolks, salt and sugar together in the bowl of a heavy-duty mixer. Place over the pan of simmering water and whisk gently until the mixture is just lukewarm, about 100 degrees if you have a thermometer (or test with your finger - it should be warm to the touch). 4.Attach the bowl to the mixer and, with the whisk attachment, whip on medium-high speed until the egg mixture is cooled (touch the outside of the bowl to tell) and tripled in volume. The egg foam will be thick and will form a slowly dissolving ribbon falling back onto the bowl of whipped eggs when the whisk is lifted. 5.While the eggs are whipping, stir together the flour and cornstarch. 6.Sift one-third of the flour mixture over the beaten eggs. Use a rubber spatula to fold in the flour mixture, making sure to scrape all the way to the bottom of the bowl on every pass through the batter to prevent the flour mixture from accumulating there and making lumps. Repeat with another third of the flour mixture and finally with the remainder. 7.Scrape the batter into the prepared pan and smooth the top. 8.Bake the genoise for about 10 to 12 minutes. Make sure the cake doesn’t overbake and become too dry or it will not roll properly. 9.While the cake is baking, begin making the buttercream. 10.Once the cake is done (a tester will come out clean and if you press the cake lightly it will spring back), remove it from the oven and let it cool on a rack. 1.Whisk the egg whites and sugar together in the bowl of an electric mixer. Set the bowl over simmering water and whisk gently until the sugar is dissolved and the egg whites are hot. 2.Attach the bowl to the mixer and whip with the whisk on medium speed until cooled. Switch to the paddle and beat in the softened butter and continue beating until the buttercream is smooth. Dissolve the instant coffee in the liquor and beat into the buttercream. 1.Run a sharp knife around the edges of the genoise to loosen it from the pan. 2.Turn the genoise layer over (unmolding it from the sheet pan onto a flat surface) and peel away the paper. 3.Carefully invert your genoise onto a fresh piece of parchment paper. 4.Spread with half the coffee buttercream (or whatever filling you’re using). 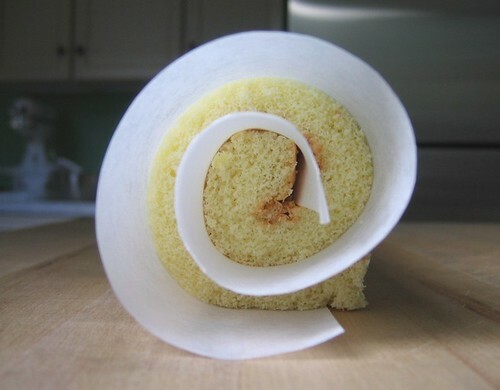 5.Use the parchment paper to help you roll the cake into a tight cylinder. 6.Transfer back to the baking sheet and refrigerate for several hours. 7.Unwrap the cake. Trim the ends on the diagonal, starting the cuts about 2 inches away from each end. 8.Position the larger cut piece on each log about 2/3 across the top. 9.Cover the log with the reserved buttercream, making sure to curve around the protruding stump. 10.Streak the buttercream with a fork or decorating comb to resemble bark. 11.Transfer the log to a platter and decorate with your mushrooms and whatever other decorations you’ve chosen. 1.Preheat the oven to 225 degrees F. Line 2 baking sheets with parchment. Have ready a pastry bag fitted with a small (no. 6) plain tip. In a bowl, using a mixer on medium-low speed, beat together the egg whites and cream of tartar until very foamy. Slowly add the granulated sugar while beating. Increase the speed to high and beat until soft peaks form when the beaters are lifted. Continue until the whites hold stiff, shiny peaks. Sift the icing sugar over the whites and, using a rubber spatula, fold in until well blended. 2.Scoop the mixture into the bag. On one baking sheet, pipe 48 stems, each ½ inch (12 mm.) wide at the base and tapering off to a point at the top, ¾ inch (2 cm.) tall, and spaced about ½ inch (12 mm.) apart. On the other sheet, pipe 48 mounds for the tops, each about 1-1/4 inches (3 cm.) wide and ¾ inch (2 cm.) high, also spaced ½ inch (12 mm.) apart. With a damp fingertip, gently smooth any pointy tips. Dust with cocoa. Reserve the remaining meringue. 3.Bake until dry and firm enough to lift off the paper, 50-55 minutes. Set the pans on the counter and turn the mounds flat side up. With the tip of a knife, carefully make a small hole in the flat side of each mound. Pipe small dabs of the remaining meringue into the holes and insert the stems tip first. Return to the oven until completely dry, about 15 minutes longer. Let cool completely on the sheets. 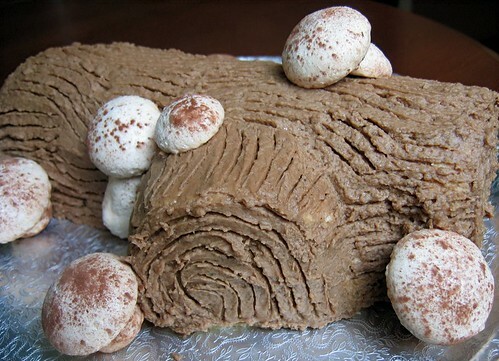 4.Garnish your Yule Log with the mushrooms. Yes, I too commented on how strange it is to eat a cake covered in fungus that looks like a fallen log. I love how you positioned the mushrooms. Very cute. Yes! That was the curdling moment, the adding of the espresso liquid! And no, my butter was definitely not too soft! So let's the blame the espresso!It looks lovely Mary! Looks wonderful Mary! I too was stunned at how realistic the mushrooms looked once assembled and they were so easy to do. I think i will make them again. Nicely done Mary! I too thought that the buttercream was way too sweet and also, for me, the cake looks much better than it tasted. Nonetheless, a fun challenge and I wish my mushrooms had stayed crisp like yours did! Great Job as always!! Have a great Xmas! This cake is so much more about appearances. Personally it was probally to sweet for some. But I guess it depends on your variations. I liked this project because there were so many challenges inside one. Happy Holidays. Great job. I love your "pre-rolling" method... I will keep that in mind for future projects. My butter cream separated also, but I used the 911 method (after it has cooled) of taking 25% of the buttercream and melting it, then mixing it back in with the rest and it whipped together perfectly! Looks great! Love your idea to pre-roll the cake. Wow, I do love your mushrooms Mary! I just figure it's the fantasy of childhood to eat a log! I kept thinking my buttercream was going to crack but I just kept the mixer going and told it there was not going to be a second chance. looks wonderful. I, too, love the 'srooms! I had the same problem with when adding the espresso to the buttercream. Oh well, what a fun cake to make. I love you cute little mushrooms! Happy Holidays! Oh look at all that fungi on your log. Weird tradition but a perfect challenge Mary. Well done! Great job on your cake! It looks wonderful. I'm with you on the taste. It's not something I'd wake up in the middle of the night craving. I'm with you on having a cake made to look like a fungus-y tree. Although, my friends' favorite part was the mushrooms! Nice job. Great job on the challenge this month. Makes me wish I had been able to complete the challenge. Great tip too on how to roll the log. 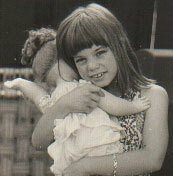 Mary, it has been an absolute pleasure and joy to bake with you this year as one of my Daring Baker sisters. I am looking forward to baking with you again next year. Joy Noel!! i think yours turned out great! Oh no, I'm with you. It was more a look than a taste thing. Glad to see I was not alone on this one. Your mushrooms look great, btw! Mary, I love your technique of pre-rolling the genoise. Wonderful job, as usual :) Merry Christmas and Happy New Year! Love the look if it Mary! I makes me hungry for buttercream again! I can't tell that your buttercream didn't end up perfect, looks wonderful to me. Happy Holidays! What a great Yule Log! I mixed the liquid with melted chocolate ánd the butter before I added it to the whipped egg whites (and crossed all extremities while doing so) and that worked. Happy holidays Mary! Well done on another challenge! Great job and great save with the buttercream. Mary, Glad you decided to meet the challenge again. 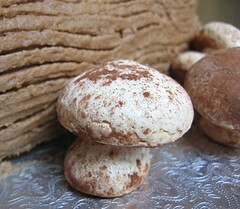 Your mushrooms are darling and the photo of the genoise rolled with the parchment is awesome. Buttercream alsways seems tricky to me. Happy Christmas and New Years! See 'ya in 2008! The story of your buttercream sounds almost exactly like mine. I also wondered if I added too soft of butter. My buttercream was very runny but letting it set overnight totally changed it. I love how organic your mushrooms look ... like they're actually growing out of the log! It's beautiful, Mary. Happy Holidays! Nice looking log, I agree, the mushrooms are great. Mary- It looks great! Your tip about pre-rolling the genoise was very helpful. Thanks. That is gorgeous Mary! I'm posting mine tomorrow. I had quite the adventure with the buttercream too. Happy Holidays to you and the family! Gorgeous! Thanks for the tip on pre-rolling the genoise... I will use that the next time I try something of this nature. I also appreciate your tips for fixing a broken buttercream. Merry Christmas to you and yours, and best wishes for a happy healthy new year! lovely yule log. will keep in mind your tip to roll the sponge in parchment dusted with sugar for next time. thanks. Your log looks great and I love the mushrooms. They were my favorite part! Great looking log Mary! I, too, almost freaked when I added the rum coffee mixture to my buttercream. It curdled and I thought I am never ever going to be able to rescue this, but I beat it like mad and all of a sudden it came back together! Whew!!! My absolute favourite challenge thus far and I am loving your mushrooms! I made buttercream in class one day (years ago) and learned a lesson that hasn't failed me yet. Patience. My buttercream was beautiful until it too turned into a wet curdled mess. My chef suggested I put it in the cooler for a while, then mix it on low speed with the paddle. I was doubtful, but minutes later (maybe 15) I had the silkiest buttercream in the class. You can always fix it by chilling it some, if it is too loose from over warm butter, or the meringue melting the butter, or, if it is too cold, then lightly run a torch around the sides of the metal bowl until it comes together. Great log of course. Wish I'd stopped by your house for the holidays! Your cake look so spongy!!! Mary, very nice log. I agree that the presentation is much more impressive than the actual taste. Hope you had a wonderful Christmas! A great looking log! Very well done! Your log looks great! well done! I think yours turned out lovely. I hope you had a great Christmas! Mary, your genoise is perfection. I love it. Your yule log is awesome too! Great job :) and Happy New Year! Pre-rolling huh!? Wish I'd known that! Your Yule looks great. Happy New Year. That is interesting about the pre-rolling. Thanks for the tip! Pre rolling is a good tip. :) Your buttercream still looks great and the mushrooms are so cute. Well done! P.S. I hope you had a wonderful Christmas and Happy New Year! 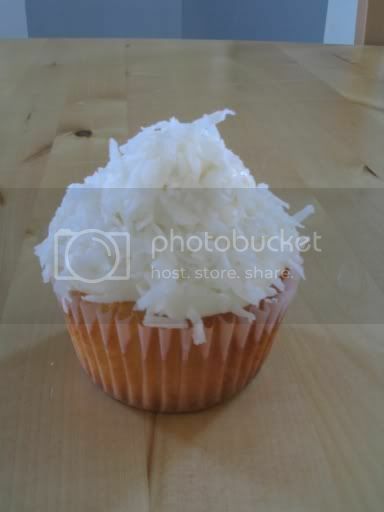 When I googled "broken buttercream" I found this post and I'm so glad I did! I added cream cheese to my broken buttercream that I was making for a birthday cake and it was saved! Thank you thank you, I'll never forget that little piece of knowledge. And I know this post was written awhile ago, but it is a beautiful cake!